London’s restaurants are big business, at the heart of the capital’s global popularity as a visitor destination. “Forget everything you’ve heard about bland, mushy British food – the restaurant scene here is fabulous”, as travel website TripAdvisor said last week, announcing London as best destination in its annual travellers’ choice awards. 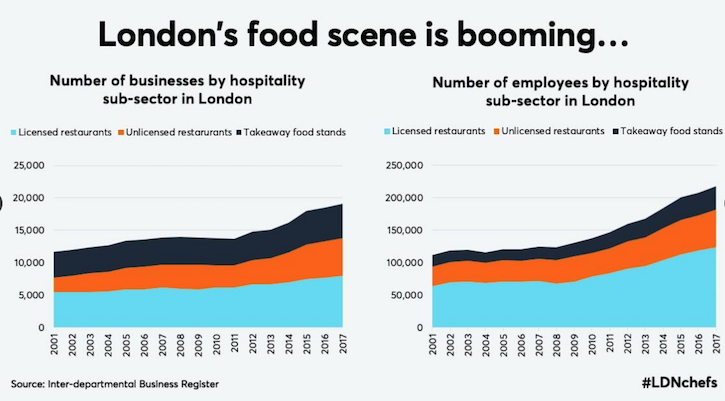 In fact, with the number of food outlets in the capital doubling since 2001, and three times as many chefs as in 2009, the last two decades or so have been something of a golden age for London’s food scene, for quality and diversity as well as quantity. Some 55,000 people work as chefs in London, alongside 100,000 kitchen assistants and waiting/front of house staff – more than the total number of graphic designers, lawyers and chartered accountants in London combined. It’s a key sector, but there’s a growing recruitment and retention crisis in the capital’s kitchens, which is likely to get worse with EU exit and tighter immigration rules, according to a new report, Kitchen Talent: Training and retaining the chefs of the future, from the Centre for London think tank, launched this week. 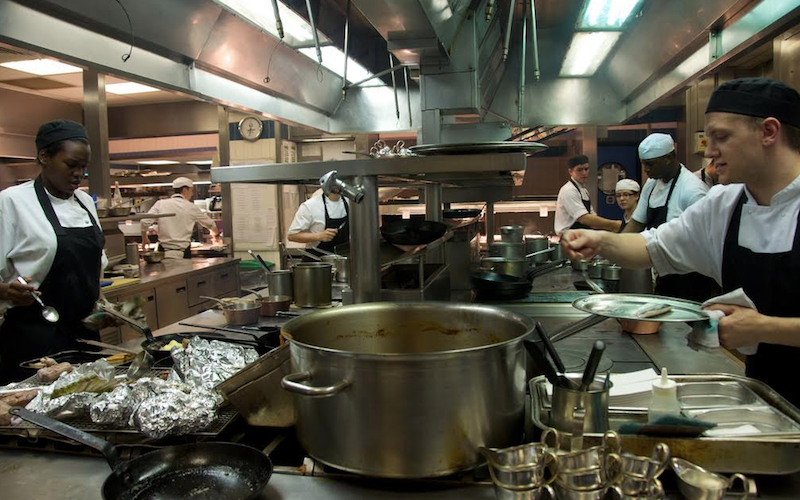 Figures suggest that skilled chefs are leaving the workforce more quickly than new chefs can be trained, the report says. 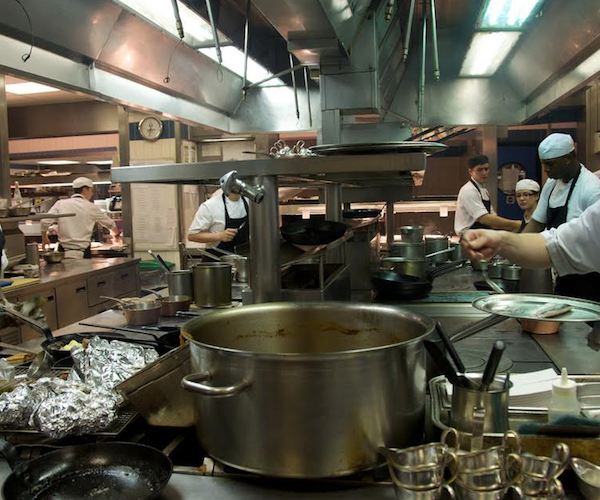 Ten per cent of UK chefs quit every year; at the same time, more than eight out of 10 London chefs are born outside the UK, making the sector particularly vulnerable to tougher immigration control. Urgent action is needed on several fronts, the report argues, from culinary education and training to working conditions and pay rates. Half of London’s chefs earned less than £21,000 last year – rates which have hardly shifted since 1997 – and many chefs report an average working week of 50 to 60 hours including significant unpaid overtime. Workplaces tend to be inflexible – women make up just 15 per cent of chefs in London – and kitchens are still seen as high pressure, macho and often hostile or even abusive environments, with poor management and support. Celebrity chefs may have raised the profile of the professional but haven’t always helped either. “Getting shouted at by people like Gordon Ramsey” was a significant off-putting factor for teenagers considering a kitchen career, according to a Surrey University survey cited in the report. 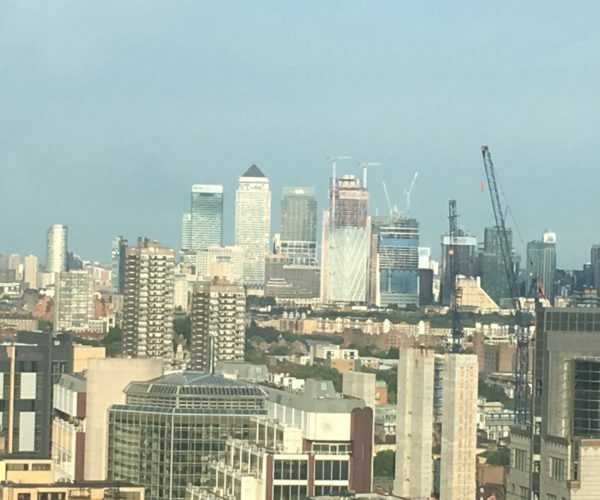 While not enough young people were entering the industry, reforms were also needed “to get people from different backgrounds and different stages of life into kitchens,” chef, entrepreneur and Mayor of London food board member Angela Malik said at the report’s launch. Progress had been made since the 1970s when “induction was someone throwing an apron at you”, said veteran restaurateur Jeremy King, of Le Caprice and the Ivy fame and co-founder of the successful Corbin & King portfolio. But colleges still taught trainees to “cook a menu, not how to cook”, and proprietors were not doing enough to develop their staff. London’s catering training offer should be revamped as a two-stage foundation and more specialist system, with current provision brought together as a new high-status London College of Food along the lines of the University of the Arts London, the report recommends. And the Mayor should work with the capital’s restaurants towards compliance with Mayor Khan’s Good Work Standard covering flexible working, training and wellbeing, zero tolerance of discrimination, harassment and bullying and paying the London Living Wage. 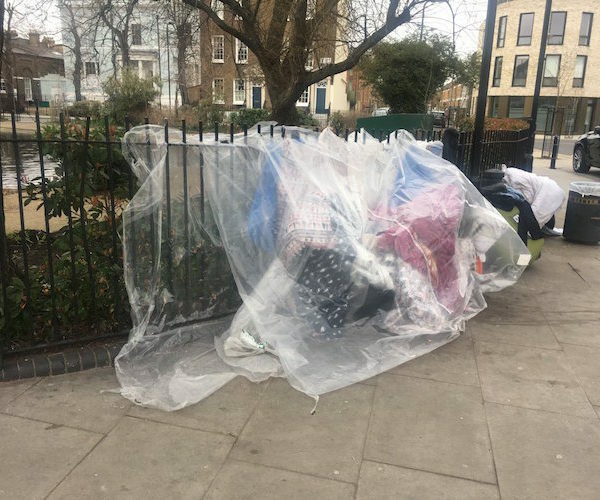 The capital’s culinary offer exemplified Mayor Khan’s “London is open” message, City Hall development, enterprise and environment director Debbie Jackson said, offering mayoral support for reform. Can the industry, and London’s institutions, rise to the challenges it faces, or is the golden age drawing to a close? Read Centre for London’s Kitchen Talent report in full here. Photograph by Noirin Shirley from Flickr.